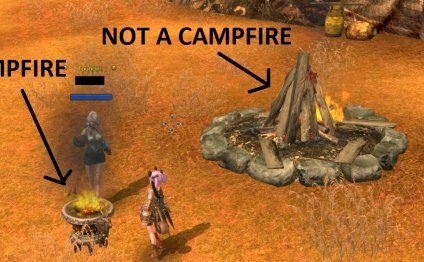 As an action MMO, TERA strives to keep your eyes on the center of the screen. To help players get the most out of their focus, we've added a few useful tools and tricks so you're never caught wholly unawares. Combat indicators tell you at a glance what just happened. For example, if you walk too close to a creature, you might see a dark shield with an exclamation point (!) icon appear over its head. Abnormality: This indicator appears when a character has a debuff or other status effect applied. Cutscene: This indicator appears over a character who is watching a cutscene or is otherwise engaged. There are also several options for displaying information on both yourself and other players, which can be useful not only in situations like PvP, but also for players learning how other classes work and which skills they rely upon. On the Game tab of the Options Menu () you will find a section called Game Information. From here, you can choose to display player indicators, and skills used in combat. Damage: A red exclamation point appears when a character receives a damage or healing over a certain percentage of max HP, as set by the sliders. Sliders must be set for the player and party separately. When "display player skills" is selected, a skill icon similar to those used on the shortcut bar appears over a character's head when taking an action. Players on PvP servers may want to turn these on so they know when they’re about to get snared, and tanks and healers running an instance can utilize party alerts to note when party members use skills that really draw a monster's attention. Displaying player skills is not something you'll use all the time, but it's a useful tool as you learn how to incorporate your party's strengths and cope with their weaknesses.